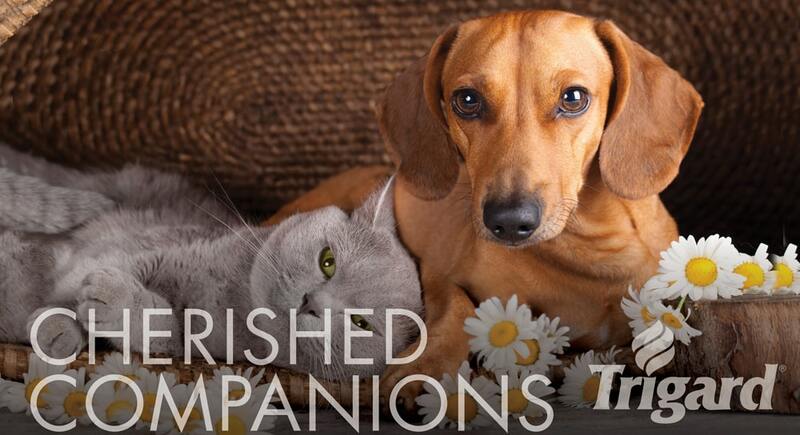 In life, they were faithful, unfailing companions. Our furred and feathered friends play a special role in our lives. They are members of our families in ways we can’t fully explain, and when they pass from this life, they are dearly remembered and deeply missed. We offer a variety of pet memorialization options to celebrate your pet’s life. The Tranquility casket vault features handcrafted 100% cotton plaid interiors and a sunburst cover design. These durable caskets are made of high impact polymer and feature a butyl tape seal to ensure a secure, final resting place for your devoted companions. Our casket vaults are available in 18 inch (ideal for small pets such as birds, gerbils, hamsters and lizards), 24 inch (accommodates cats, rabbits and small dogs) and 31 inch (designed for larger animals). Call 800.637.1992 to order. See our beautiful full color or oxide bronze urns, plaques, wood urns, medallions, and garden stakes.